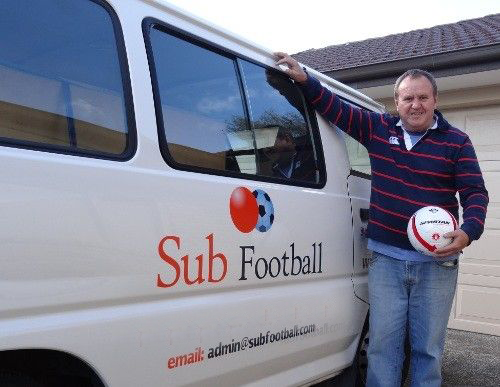 SUB Football began in 1995 when founder Bill Davies quit his sales job and started his own business running 7-a-side football competitions. The amount of violence between teams had always concerned him, and so he developed SUB Football, with a no-force policy. He introduced “try” boards that stand adjacent to the goals, which make for a fun, high-scoring game that has since become hugely popular. His vision was to see more people participate in football, in a safe environment that is non-threatening to new players, yet still enjoyable for people of all skill levels. The first season in 1996, drew 27 teams, with another 28 teams joining half way through the season. Two years later SUB Football officially began with 132 teams playing at the iconic Auckland Domain, with two thirds of those teams being mixed. Since then, SUB Football has continued to grow, with competitions now being played at the Domain, Seymour Park and Walker Park in Auckland. Bill also took the game to Australia in 2005, where it was played at Fawkner Park in Melbourne until 2014. He still hopes to see the game played worldwide. Bill Davies was born during World War II in Liverpool in the United Kingdom. He played football for his primary school, and in a youth competition, in which he scored the winning goal in the semi-final. The final was played at the Everton training grounds, and Bill has been a loyal Everton FC supporter ever since. At age 21, Bill left home on an adventure of a lifetime, hitchhiking around the world before finally arriving in New Zealand, where he has lived ever since. He played football with his Air New Zealand work team for many years in a weekend business house league at Mangere Mountain. Bill played left wing and was a prolific goal scorer. On leaving Air NZ, Bill took a job working in insurance, but found it wasn't for him. He quit and travelled around South America for 4 months, before coming back to NZ to start his business running football competitions. Bill was still refereeing SUB Football games until 2011, when his health began to deteriorate. In 2014 Bill handed over management of SUB Football to Rebecca Stitt and Julie Meyer. Becs and Julie introduced the Bill Davies Cup for Outstanding Sportsmanship, awarded to the team demonstrating positive team spirit and sportsmanship most consistently each season. This is in honour of Bill and his desire to see football played in such a manner. On September 10th, 2015, Bill Davies passed away in hospital, with his sons at his bedside. He was 75 years old. His passion for SUB Football, and his contribution to the Auckland footballing community was a highlight of his eulogy.